A Vancouver couple is making a public appeal to help find their missing rescue dog, Littlefoot. According to the GoFundMe post, Jocelyn Aspa said that on December 2, her boyfriend had a seizure while walking their dog Littlefoot at Prince Edward and East 10th Street in Vancouver. The medium-sized, mixed-breed pup is a rescue from Thailand. Aspa explains that Littlefoot is a “very shy, timid dog around other people” but the couple has been working hard to get him adjusted to his new life in Vancouver. Aspa started the GoFundMe page to raise funds to hire a pet detective. “Hiring a pet detective is our last resort, and starting a GoFundMe is not my proudest moment, but I am hopeful that people will help out,” she said. The GoFundMe aims to raise $1,000, which Aspa says can cover roughly four hours of searching. Donations have been pouring in and the page managed to raise $1,500 in one day. If Littlefoot is found without a pet detective, Aspa will return all funds to those who donated. Additional funds will be donated towards the SPCA, the rescue facility where Littlefoot was adopted from, or returned to those who donated. 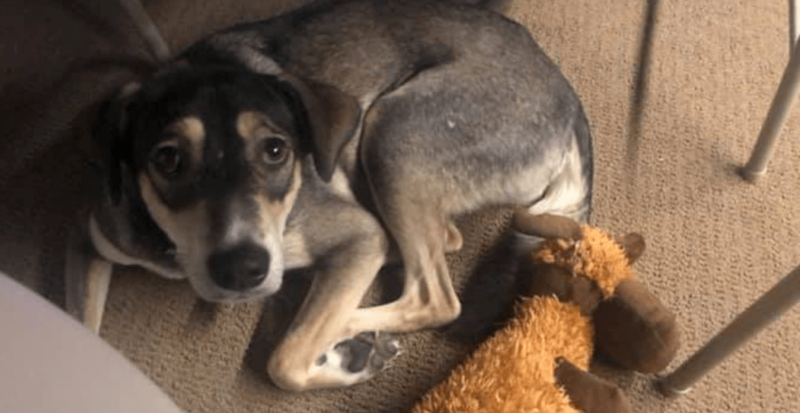 Aspa told Daily Hive that she has received a few messages of people saying they last saw Littlefoot around the Clark and Glen Drive area in Vancouver. 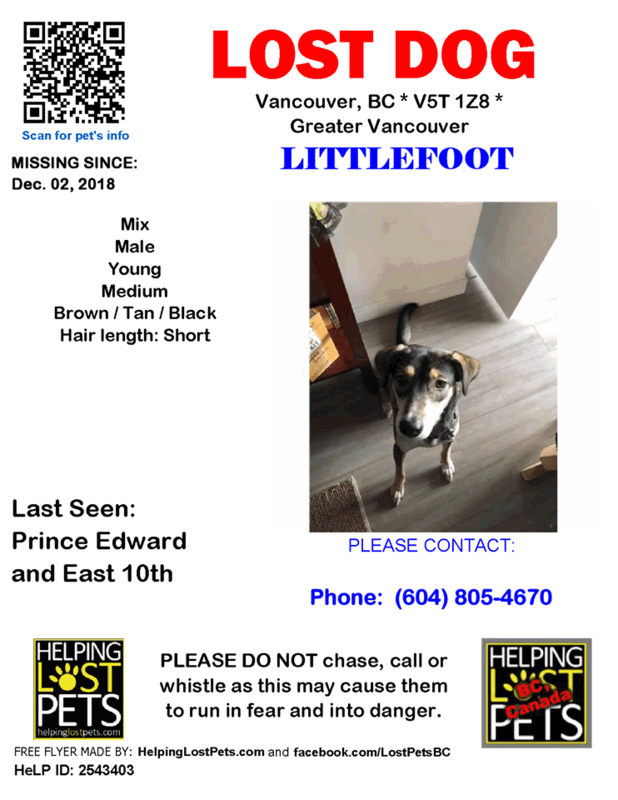 Aspa is requesting that anyone who sees Littlefoot call her at 604-805-4670 immediately and give her the location and the direction of where they saw the dog. Littlefoot should not be chased down, as it could cause him to react in fear. At the time he ran off, Littlefoot was wearing a red lease with a Bark Busters collar. His name tag is scratched up but he has a Wagg Tagg ID and a City of Vancouver tag. The dog is also microchipped.